In Japan, ravelling tea sets of this kind are associated with the cult of the tea ceremony. The tea ceremony usually takes place in a specially-built tea room, but there are times when it is practised in the open air as part of an outing to view cherry blossoms, the moon or maple leaves. It is on these occasions that tea sets like this are used. 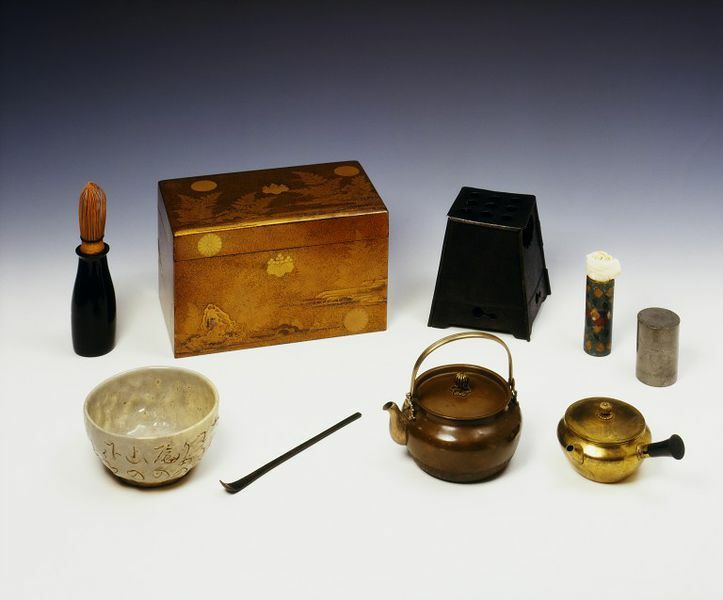 By the 19th century, when this set was made, the tea ceremony was practised by large numbers of Japanese. It was an elegant pastime, but no longer an elitist one, as it had been during the 16th and 17th centuries. Many 19th-century western collectors of Japanese art were dismissive of the often austere utensils used in the tea ceremony. This set, however, would have been appealing for its compactness of design and relatively ornate qualities. 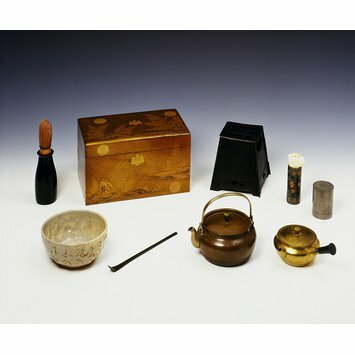 Christopher Dresser (1834-1904), who visited Japan in 1876, is known to have designed a travelling tea service influenced by Japanese prototypes. The contents of this tea set are different from what you would find in a western equivalent. This is because the Japanese tea ceremony involves the preparation and drinking not of steeped tea, but of finely powdered green tea and hot water whipped up in a tea bowl with a bamboo whisk.